Owens Corning's OC shares declined more than 5% during yesterday's trading session, after the company reported first-quarter 2019 results. Owens Corning's earnings and net sales not only missed the respective Zacks Consensus Estimate but also declined on a year-over-year basis. The decline is due to lower contribution from Roofing and Insulation businesses. In August 2018, Lampert offered to buy the Kenmore appliance brand for $400 million in cash through his hedge fund ESL Investments after the company failed to find other takers. ESL also offered to buy the Home Improvements business for $80 million in cash. "Over the last several years, we have worked hard to transform our business and unlock the value of our assets," Lampert said in the statement announcing the bankruptcy petition. BLACKLINE INC (BL) is expected to deliver a year-over-year decline in earnings on higher revenues when it reports results for the quarter ended March 2019. The stock might move higher if these key numbers top expectations in the upcoming earnings report, which is expected to be released on May 2. While the sustainability of the immediate price change and future earnings expectations will mostly depend on management's discussion of business conditions on the earnings call, it's worth handicapping the probability of a positive EPS surprise. Investing.com - It's a case of two oils, and which could be better for the bulls as U.S. crude prices struggle after a stockpile surge while those of Brent continue their ascent on Saudi Arabia's supply squeeze. New York-traded West Texas Intermediate, the benchmark for U.S. crude, halted its advance in the $65 per barrel territory while London-traded Brent smashed new frontiers above $75. By 12:45 PM ET, WTI was down 17 cents, or 0.3%, at $65.72 per barrel. p Invesco, which manages $955bn in assets from headquarters in Atlanta, suffered big outflows from its UK business in the first quarter, when UK investors accounted for $3.9bn of the $5.4bn drained globally from Invesco portfolios for the period. 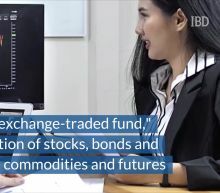 In the fourth quarter flows from UK portfolios came to $3.3bn of $20bn globally, as a bout of market turmoil prompted investors around the world to shift money to safer assets. US Ecology (ECOL) is expected to deliver a year-over-year increase in earnings on higher revenues when it reports results for the quarter ended March 2019. The stock might move higher if these key numbers top expectations in the upcoming earnings report, which is expected to be released on May 2. While management's discussion of business conditions on the earnings call will mostly determine the sustainability of the immediate price change and future earnings expectations, it's worth having a handicapping insight into the odds of a positive EPS surprise. MarineMax (HZO) came out with quarterly earnings of $0.23 per share, missing the Zacks Consensus Estimate of $0.31 per share. This quarterly report represents an earnings surprise of -25.81%. MarineMax, which belongs to the Zacks Retail - Miscellaneous industry, posted revenues of $303.59 million for the quarter ended March 2019, surpassing the Zacks Consensus Estimate by 4.72%. 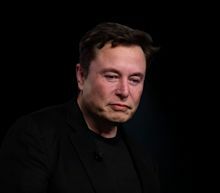 Tesla's (TSLA) poor first quarter performance sent its stock reeling on Thursday and brought out the bears, with one Wall Street firm downgrading the company's stock while blasting CEO Elon Musk for behaving as if he was in the “Twilight Zone. The car maker's shares shed nearly 4% intraday, trading near $249 after reporting a loss on Wednesday that was far wider than analysts had expected. Since the start of 2019, Tesla has burned through more than a $1.5 billion in cash, with demand for its electric cars on the wane. Wall Street expects flat earnings compared to the year-ago quarter on higher revenues when Dunkin' Brands (DNKN) reports results for the quarter ended March 2019. The earnings report, which is expected to be released on May 2, 2019, might help the stock move higher if these key numbers are better than expectations. While management's discussion of business conditions on the earnings call will mostly determine the sustainability of the immediate price change and future earnings expectations, it's worth having a handicapping insight into the odds of a positive EPS surprise. The earnings report, which is expected to be released on May 1, 2019, might help the stock move higher if these key numbers are better than expectations. While the sustainability of the immediate price change and future earnings expectations will mostly depend on management's discussion of business conditions on the earnings call, it's worth handicapping the probability of a positive EPS surprise. This oil and natural gas producer is expected to post quarterly earnings of $0.12 per share in its upcoming report, which represents a year-over-year change of -62.5%. Carbonite (CARB) is expected to deliver a year-over-year increase in earnings on higher revenues when it reports results for the quarter ended March 2019. The stock might move higher if these key numbers top expectations in the upcoming earnings report, which is expected to be released on May 2. While management's discussion of business conditions on the earnings call will mostly determine the sustainability of the immediate price change and future earnings expectations, it's worth having a handicapping insight into the odds of a positive EPS surprise. Wall Street expects a year-over-year increase in earnings on higher revenues when NovoCure (NVCR) reports results for the quarter ended March 2019. The earnings report, which is expected to be released on May 2, 2019, might help the stock move higher if these key numbers are better than expectations. While the sustainability of the immediate price change and future earnings expectations will mostly depend on management's discussion of business conditions on the earnings call, it's worth handicapping the probability of a positive EPS surprise. IsoRay (ISR) is expected to deliver flat earnings compared to the year-ago quarter on higher revenues when it reports results for the quarter ended March 2019. The stock might move higher if these key numbers top expectations in the upcoming earnings report. While the sustainability of the immediate price change and future earnings expectations will mostly depend on management's discussion of business conditions on the earnings call, it's worth handicapping the probability of a positive EPS surprise. Wall Street expects a year-over-year increase in earnings on higher revenues when Open Text (OTEX) reports results for the quarter ended March 2019. The stock might move higher if these key numbers top expectations in the upcoming earnings report, which is expected to be released on May 1. While the sustainability of the immediate price change and future earnings expectations will mostly depend on management's discussion of business conditions on the earnings call, it's worth handicapping the probability of a positive EPS surprise. The stock might move higher if these key numbers top expectations in the upcoming earnings report, which is expected to be released on May 1. While management's discussion of business conditions on the earnings call will mostly determine the sustainability of the immediate price change and future earnings expectations, it's worth having a handicapping insight into the odds of a positive EPS surprise. This mobile payments services provider is expected to post quarterly earnings of $0.08 per share in its upcoming report, which represents a year-over-year change of +33.3%. Upland Software (UPLD) Earnings Expected to Grow: Should You Buy? Wall Street expects a year-over-year increase in earnings on higher revenues when Upland Software (UPLD) reports results for the quarter ended March 2019. The earnings report, which is expected to be released on May 2, 2019, might help the stock move higher if these key numbers are better than expectations. While the sustainability of the immediate price change and future earnings expectations will mostly depend on management's discussion of business conditions on the earnings call, it's worth handicapping the probability of a positive EPS surprise. Ladder Capital (LADR) is expected to deliver a year-over-year decline in earnings on lower revenues when it reports results for the quarter ended March 2019. The earnings report might help the stock move higher if these key numbers are better than expectations. While the sustainability of the immediate price change and future earnings expectations will mostly depend on management's discussion of business conditions on the earnings call, it's worth handicapping the probability of a positive EPS surprise. Kulicke and Soffa (KLIC) is expected to deliver a year-over-year decline in earnings on lower revenues when it reports results for the quarter ended March 2019. The earnings report, which is expected to be released on May 2, 2019, might help the stock move higher if these key numbers are better than expectations. While the sustainability of the immediate price change and future earnings expectations will mostly depend on management's discussion of business conditions on the earnings call, it's worth handicapping the probability of a positive EPS surprise. Southern Co. (SO) Expected to Beat Earnings Estimates: Should You Buy? Wall Street expects a year-over-year decline in earnings on lower revenues when Southern Co. (SO) reports results for the quarter ended March 2019. The earnings report, which is expected to be released on May 1, 2019, might help the stock move higher if these key numbers are better than expectations. While management's discussion of business conditions on the earnings call will mostly determine the sustainability of the immediate price change and future earnings expectations, it's worth having a handicapping insight into the odds of a positive EPS surprise. The stock might move higher if these key numbers top expectations in the upcoming earnings report, which is expected to be released on May 1. While management's discussion of business conditions on the earnings call will mostly determine the sustainability of the immediate price change and future earnings expectations, it's worth having a handicapping insight into the odds of a positive EPS surprise. This building materials company is expected to post quarterly earnings of $0.27 per share in its upcoming report, which represents a year-over-year change of -6.9%. The stock might move higher if these key numbers top expectations in the upcoming earnings report, which is expected to be released on May 2. While the sustainability of the immediate price change and future earnings expectations will mostly depend on management's discussion of business conditions on the earnings call, it's worth handicapping the probability of a positive EPS surprise. This information technology consulting and outsourcing firm is expected to post quarterly earnings of $1.03 per share in its upcoming report, which represents a year-over-year change of -2.8%. The market expects Exterran (EXTN) to deliver a year-over-year decline in earnings on higher revenues when it reports results for the quarter ended March 2019. The stock might move higher if these key numbers top expectations in the upcoming earnings report, which is expected to be released on May 1. While management's discussion of business conditions on the earnings call will mostly determine the sustainability of the immediate price change and future earnings expectations, it's worth having a handicapping insight into the odds of a positive EPS surprise. WillScot (WSC) Expected to Beat Earnings Estimates: Should You Buy?